Saturday mornings are my favorite time to visit the farmers market. The selection of fresh produce is abundant all throughout the summer, and now that it’s fall, vegetables are out in full force. However, this time around I found this gorgeous green called Romanesco Broccoli. It was so lovely that I almost hated to cut into it and I wanted to highlight its unique design in whatever recipe I used it in. 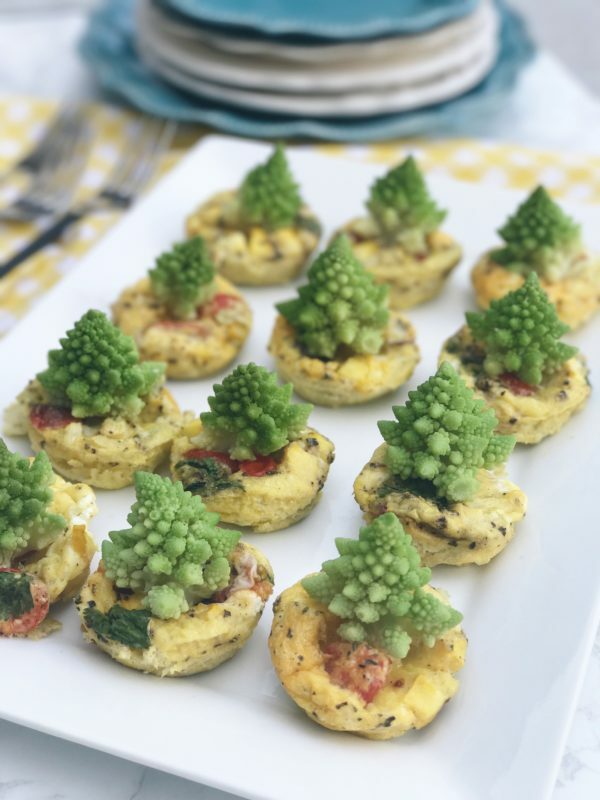 After cutting the stems off I realized that they looked just like little pine trees and decided it would make an a festive addition to my Christmas brunch this year. Not only are they adorable as a garnish, but since I steamed them and lightly sauteed them in olive oil and sea salt, they were just the right flavor for the egg bakes. The nice thing about this Italian egg bake recipe is there are no ingredient rules to follow. Just grabbed whatever you happened to have in your refrigerator at the time and go with it. You can even custom make each egg bake to fit the taste and ingredient restrictions of each family member. All of that deliciousness in just under 25 minutes? Now that’s a breakfast idea worth making again and again. 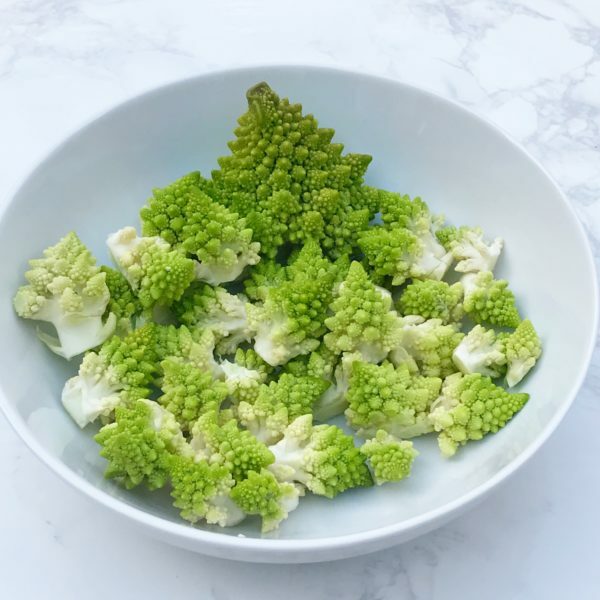 Now, the only question is, where will I find Romanesco Broccoli during the holiday? A quick, easy, and healthy breakfast idea you can make in under 25 minutes. Use your favorite ingredients to design your own recipe. Make it dairy-free, vegetarian, meat lovers, or just the ingredients you have in your refrigerator for a simple breakfast idea the entire family will love. 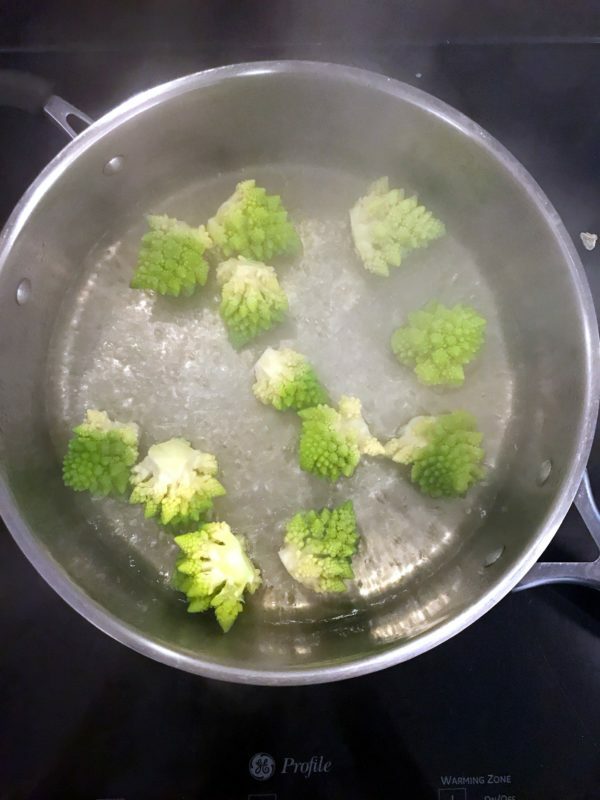 Start by cutting off the stem and outer leaves of the Romanesco broccoli. Standing on its core, cut the broccoli down the middle. Gently cut off each florets beginning at the bottom to get the tree-shaped florets. Set aside. Preheat oven to 350 degrees Fahrenheit. 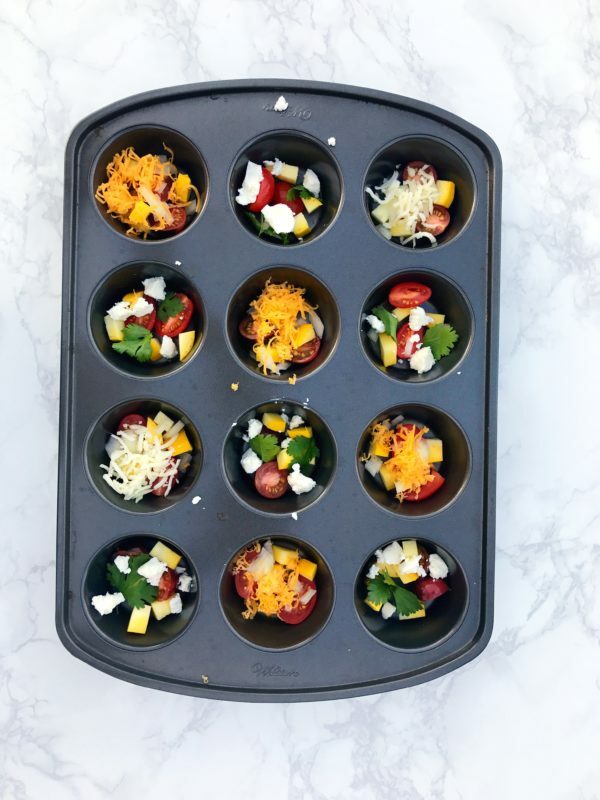 Prepare a non-stick muffin pan with cooking spray. 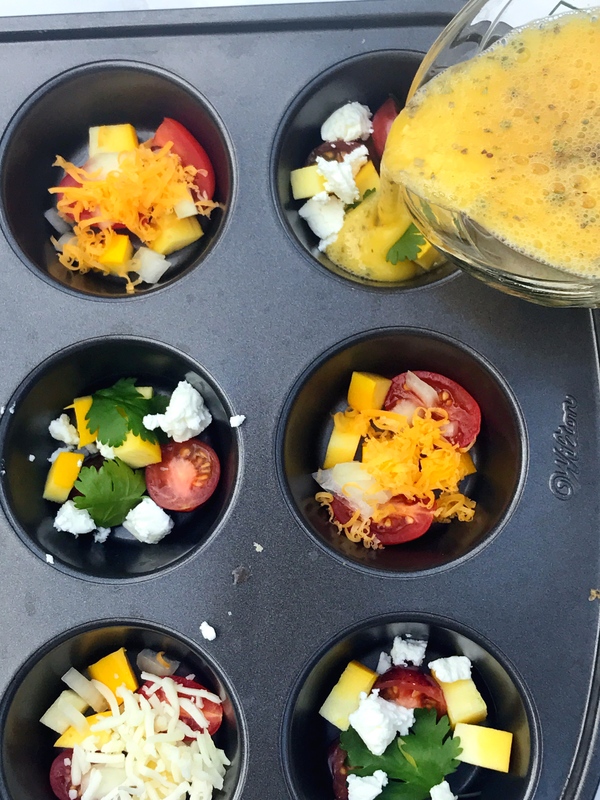 Add 1 tablespoon of your favorite combination of ingredients to each muffin cup. In a bowl or glass cup with a pouring spout, whisk together eggs, water, salt, and pepper until fluffy. 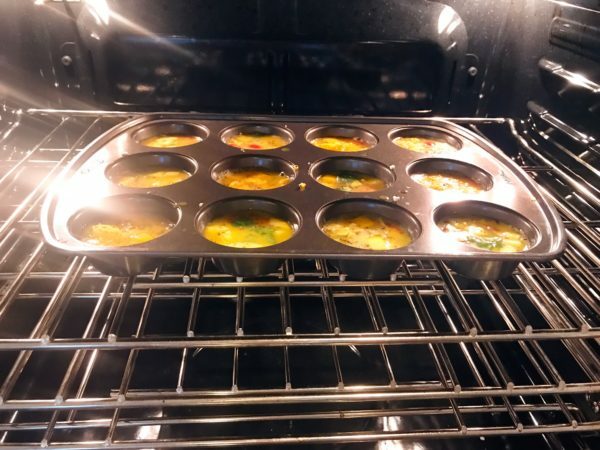 Pour eggs into each muffin cup up to 1/4-inch from the top. Transfer pan to the oven and bake 10-12 minutes or until eggs are fluffed over the top of the pan. While eggs are baking, heat 1/2 cup water in a saute pan over high heat. 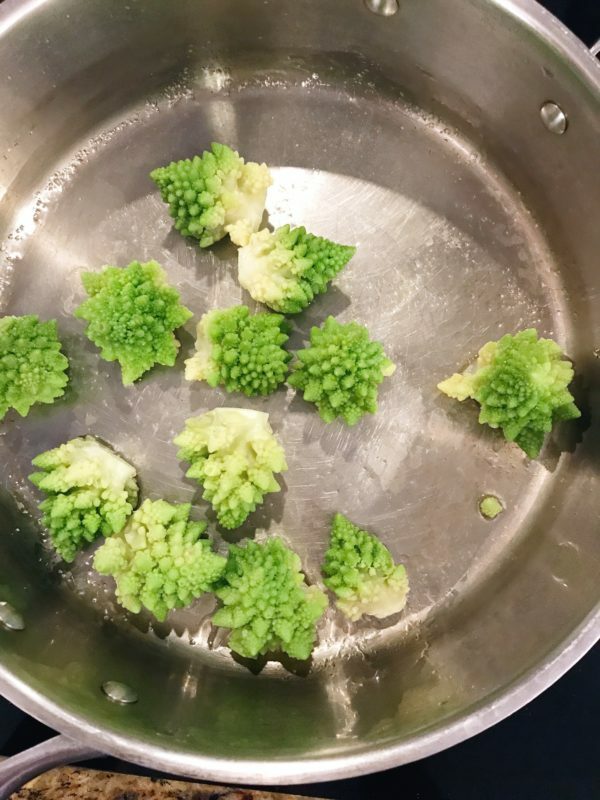 Add Romanesco broccoli florets and cover. Lower heat to medium and let steam 4-5 minutes or until soft when pierced with a fork. Drain water from pan. Add olive oil and 1/2 teaspoon of salt. Toss and remove from heat. When eggs are done, remove from oven and let sit for 2 minutes before transfering to a serving platter. Gently lay one Romanesco Bbroccoli floret on top of each egg bake and serve immediately. I like to use whatever I have in my refrigerator at the time so the each time I make this it is a different experience.